BB Crystal's legs - can they be put on the full body? After swearing that I will not buy any more kits I did a mistake and peeked at them today and saw that they are 50% off. I like Crystal ($20 now), but don’t like 3/4 legs. Seems that her legs are long enough to be put on the full body. I see on Reborns that so many people reborned her. Can someone comment on this please. And thank you! Her legs will work nicely on a non-jointed front loading body. I put her together with a full leg body and she looks good to me. I put Crystal on a full limb body as well. I do recommend a front loading. Oh my goodness! this is the cutest Crystal! Thank you, everyone, you just confirm my intention! @pschomaker She does look good! @specialmoments What a beautiful Crystal you work wonders with the oddest kits! I just found my next kit. Thank you! Thanks @YelenaRey! I was not buying any until I had gone through what I have. Then I read your post and bought a Crystal! And I got the full limb body instead of 3/4, so we will see how it goes! Yes, it so hard to stick to promises like ‘I am not buying anymore kits…’! I have more ideas than time for reborning! I didn’t know that she is Joseph’s sister. Did you see Sam and Chanel for $20? I think they are also so cute!! I cannot wait to see your Crystal. She has such a cute chubbiness! Yes! I almost got Sam and Chanel too! I stopped myself as I have 2 more in bags waiting to be opened and another one in transit! Plus 2 more that need stripped and restarted! 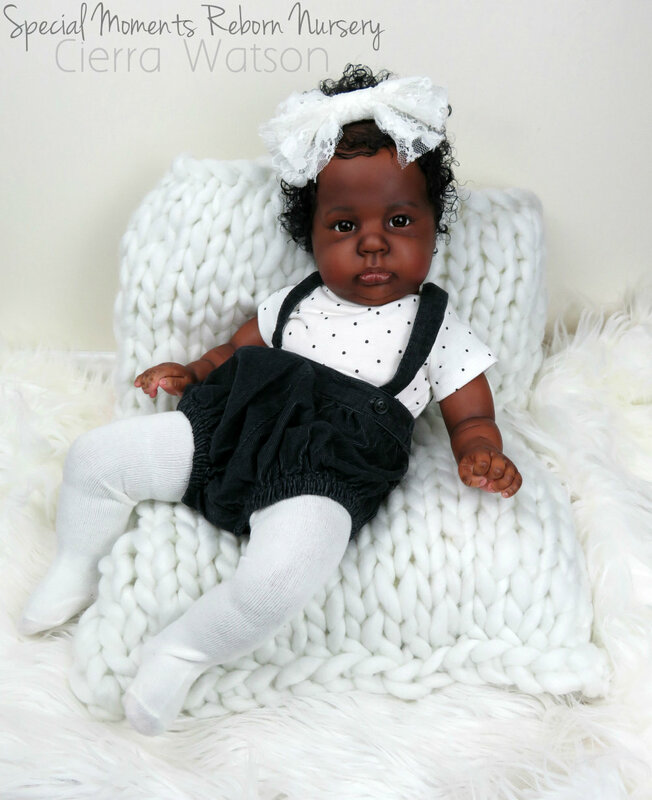 I like the bigger sized babies, so I’m excited to get her! Same here!! I’m sure I have upwards of 60 kits now. Again. I’ve cut down on kits but upping my keepers. @jubileej Aww, what a chubby cuteness overload! Thanks Yelena, It is one of my favorite pics of her cute chubby legs. @jubileej Plus her outfit is SO adorable! This was years ago but I can remember that I found that ruffle but diaper cover brand new with tags on at a second hand store and was so excited! I did not even think about getting crystal until I saw yours @jubileej You did a beautiful job on her. To bad I just put an order in yesterday, now I will have to wait.